Yes, there are great restaurants in Dublin. See additional posts for Company Supply Rotisserie Bistro and Deano’s Italian Grille Brick Oven favorites!!!! 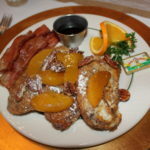 Mono and JoAnn, Page House Owner-Operators put together a memorable breakfast repast. Finer host will be hard to find!! 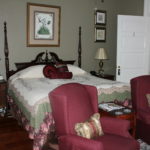 All rooms and suites have modern baths and showers, TV’s and most important; comfy beds and linens. 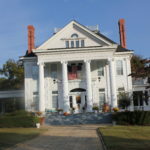 Formerly the only home in Dublin, GA. with a ballroom! 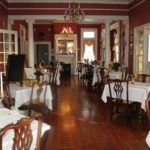 Today it’s a “sweet” dining room area, or can be a ball room for special occasions as well! 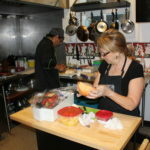 Mono and JoAnn putting up a sumptuous breakfast for guests! GA. Toast with GA. peaches-umm, umm Great! 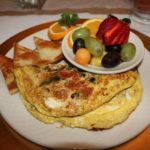 Omelette Greek style with Goat Cheese, spinach and LUV! 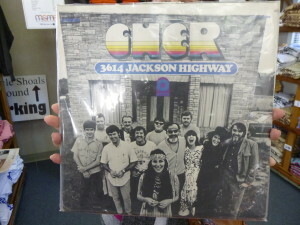 Florence and Muscle Shoals is proud to have hosted many of the top music entertainers known and loved world wide. 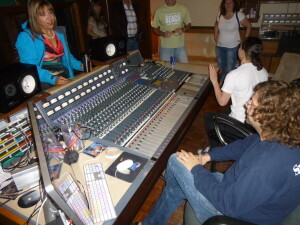 APtravelnews-December 1st,-Bob and Barb “On the Road Again” this time in Muscle Shoals, AL.-Music is like mans heart beat. So when FAME was established with entities such as FAME Publishing, FAME Recording Studios, FAME Records, and Muscle Shoals Record, word got out that “great” sounds were coming from Muscle Shoals and so in 1961 FAME moved over from Florence to the Shoals. FAME has had some of the greatest artists in Rock Music history. 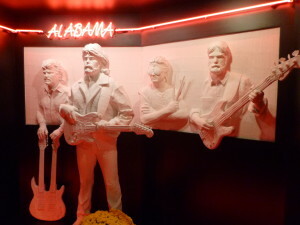 Artists such as Aretha Franklin, Little Richard, Wilson Pickett, Etta James, Otis Redding, the Osmonds, Jerry Reed, Alabama, Mac Davis, the Gatlin Borthers, Bobbie Gentry, and many others. More recently FAME has recorded projects for Jason Isbell and the 400 Unit, Matisyahu, Band of Horses, Drive by Truckers, the Civil Wars and Jamie Johnson to name just a few. Tours are available with very knowledgeable guides by calling 256-381-0801. 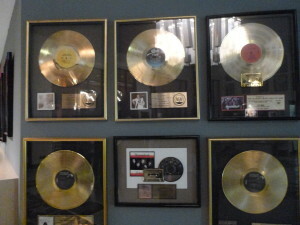 Lots of gold was mined at the FAME Studios. The action section of FAME during a guided tour. Peace love and music the Cher generation! 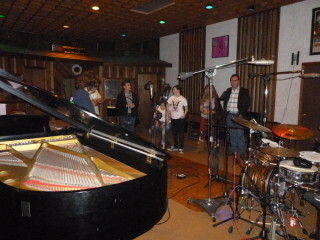 The sound mechanics and full scale detail hub of record making.